Wayne Atkinson is one of the leaders of Collas Crill’s risk and regulatory team and his experience is focused on providing advice on regulatory, compliance and licensing issues. Wayne regularly advises a range of regulatory businesses on risk and regulatory matters as well as related transaction and investment structuring, commercial contract, and mergers and acquisition issues. Wayne regularly speaks at seminars and conferences in relation to company and regulatory law matters, and is known for his down-to-earth plain-speaking approach to explaining complex legal and regulatory issues. 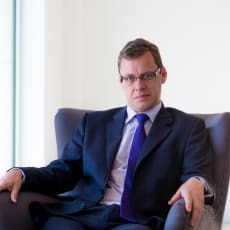 Prior to joining Collas Crill in 2009, Wayne trained and qualified as a corporate lawyer with Herbert Smith Freehills in London working primarily in the firm’s investment funds and regulatory team. Following this he moved to the British Virgin Islands where he worked for Walkers on a range of investment funds and general corporate transactions.